Notification NO.FD.PC.40-1212017(A) Dated Lahore, the 26 March 2019 regarding Time Scale Promotion 2019 Punjab by a government of the Punjab finance department. From Mr. Hamed Yaqoob Sheikh, Finance Secretary to 1. 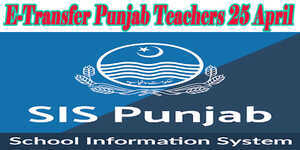 All Administrative Secretaries to Government of Punjab. 2. The Secretary to Governor, Punjab, Lahore. 3. Secretary CM Chief Minister. Punjab. Lahore. 4. A Military Secretary of Governor, Punjab. Lahore. 5. Punjab Provincial Assembly Secretary. Lahore. 6. The Secretary. Punjab Public Service Commission, Lahore. 1. All Heads of Attached Departments in Punjab. 8. All Commissioners (Deputy-Commissioners) of Punjab. 9. 10. District and court Session-Judge Punjab. 11. VIP Flight Chief Pilot,, in Lahore. 12. A Registrar. of Lahore High-Court. LHC Lahore. 13. The Local Fund Provincial Director, Audit, Punjab, Lahore. 14. Chief Inspector Treasuries /Accounts. Punjab, Lahore. l) To officers/officials who have served more than 10 years of regular service in the same scale. but could not be promoted despite having promotion channel due to a few numbers of posts in the upper tier. ii) The officers in BS-20 and above will not be allowed time scale promotion in teams of Instant policy. III) The employees up to BS-15 who availed time scale promotion once or twice by virtue of Finance Department's policy letter No.FD.PC.40-8011015 dated 26.012011 will continue to be governed by the policy ibid. Such employees will not be allowed further time scale promotion in terms of instant policy. iv) The officers originally appointed in BS 16 and above against stagnant posts (having no promotion channel) will continue to be governed by the policy letter No.FD.PC.40-12/2017 (13) dated 14.02.2019. Such employees will not be allowed further time scale promotion in terms of instant policy. v) The employees in BS-1 to BS-4 will also be governed by the policy letter No.FD.PC.39-14177(PLIV) (APC.N2008XProvl.) dated 21.06.2017. Such employees will not be allowed further time scale promotion in terms of instant policy. vii) Nomenclature of the posts held by such officers/officials will remain the same. 2. Further, a premature increment is not admissible on time scale promotion / personal up-gradation. 3. All the Departments/ Attached Departments are requested to take further necessary action to implement the above policy. CC 1. The Accountant General Punjab, Lahore. 2. All the District Accounts Officers in Punjab. 3. The Treasury Officer, Lahore. 4. The Director-General Audit, Lahore. 5. DG-Works (-Accounts), of Lahore. 6. DG-Works (-Audit). of Lahore. 7. The DG-Audit (Local Governments), Punjab, Lahore. 1. The Finance Secretary, Government of Pakistan, Islamabad. 2. The Finance Secretary, Government of Sindh, Karachi. 3. The Finance Secretary, Government of Khyber Pakhtunkhwa, Peshawar. 4. The Finance Secretary. A government of Balochistan. Quetta. 5. Finance-Secretary, AJK Azad State of Jammu 8 Kashmir, Muzaffarabad. 6. Finance-Secretary, Gilgit-Baltistan, of Gilgit. 7. All Officers of the Finance Department, Government of Punjab.